Type location Rwanda (Bolton & Fisher, 2011: 40, illustrated, worker & queen); Rangiro, 1800 m, 10.vii.1973, P Werner . 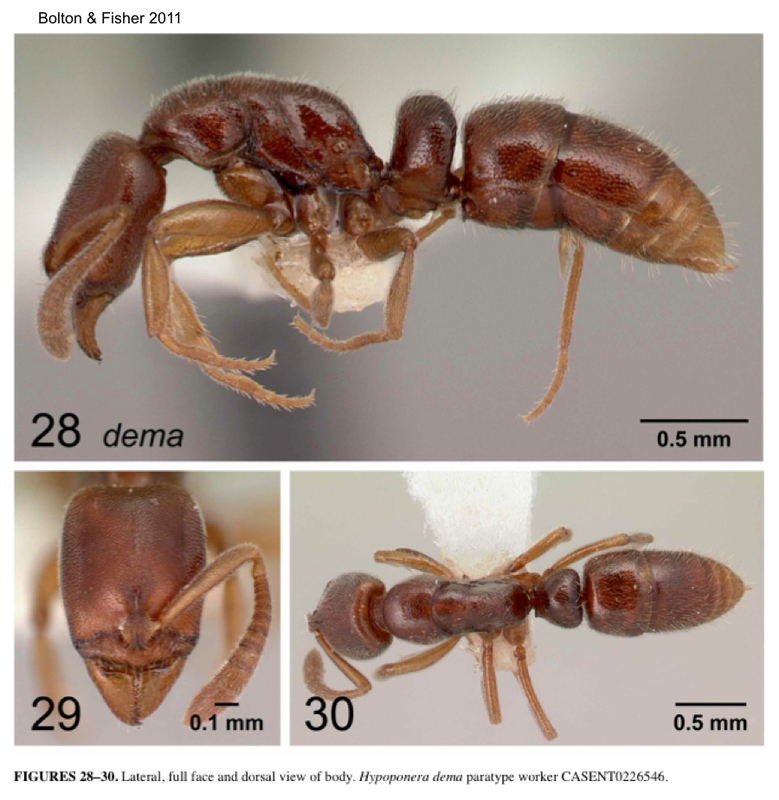 The photomontage of the holotype is from Bolton & Fisher (2011) and is also on http://www.antweb.org/specimen.do?name=casent0226546. The photomontages are of specimens from Tanzania, East Usambara Mts, altitude 950 m; Amani Nature Reserve, Park Headquarters; collector Vasily Grebennikov; 12-16.x.2002 [previously identified by me as H. ursa].